Hello, everyone! Today we wanted to take a moment to introduce our new series of upcoming blog posts, called Technique Tuesdays. We at Principle Gallery welcome and encourage all art enthusiasts. We’re also aware, though, that there are some folks out there who really enjoy art, but find themselves a bit lost when listening to discussion and criticism from those in the art world. “What in the world is ‘grisaille’ or ‘gesso,’ anyway?” you might wonder. Technique Tuesdays are here to help! We’re looking forward to sharing these explanations of terminology and techniques– and even if you’re among those who are familiar with all of this vocabulary already, Technique Tuesdays will still be a fantastic chance to highlight our artists and take a sneak peek behind the scenes at the techniques that go into the creation of the amazing artworks you see in the gallery. Without further ado, let’s begin with our first installment of Technique Tuesdays: Impasto! Impasto is an Italian word meaning “dough” or “mixture.” As a painting technique, the term impasto refers to the very thick and textured application of paint, or even the mixing of paint on the canvas itself. With this technique, the paint is applied so thickly that when it dries, it appears to be three dimensional, like it’s coming right off the canvas! As far back as the Renaissance, artists like Rembrandt, Titian, and Vermeer used impasto to make their paintings appear more three dimensional. Thick application of paint next to more delicate strokes helped to create the illusion of folds in fabric or facets in a jewel. 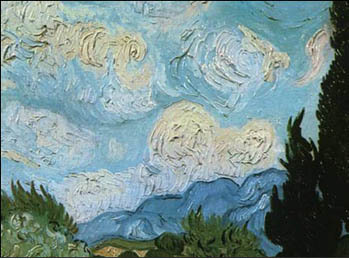 Later, Van Gogh began to use impasto in an expressive manner. 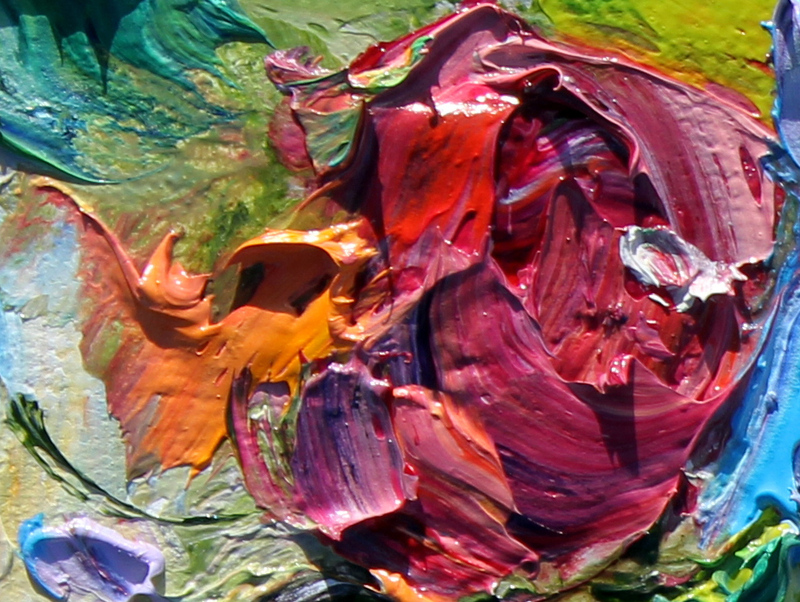 The thick and textured brush strokes gave his work a vibrancy and energy that set it apart, and many artists today continue to use the technique both for expressive purposes as well as for its ability to enhance the realism of the work. 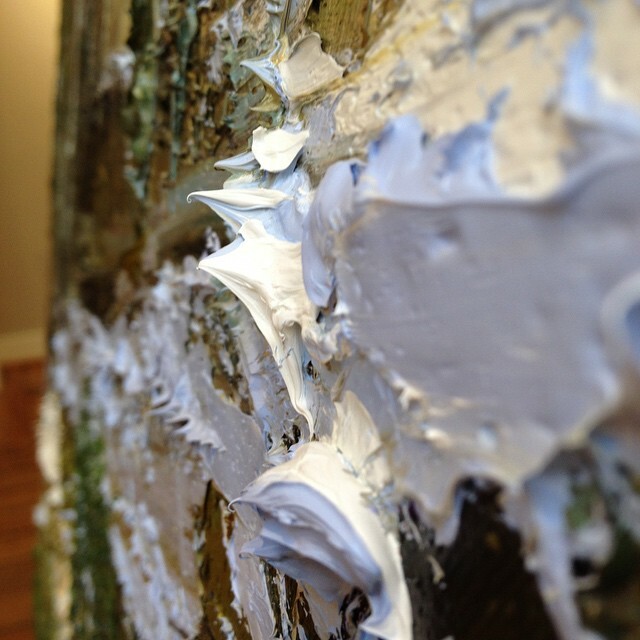 Though there are many to choose from, probably the most recognizable and unique use of impasto here at Principle Gallery is found in the work of landscape artist Lynn Boggess. His incredible landscapes are painted right outdoors and have a striking and unique energy to them. Lynn applies paint to his canvases using various sizes of cement trowels and allows the paint to remain dense and textured, rather than smoothing or blending it into the surrounding brushstrokes. In fact, you can even see the paint rising off the surface of these paintings, up to a quarter of an inch at times! The effect of light on this type of surface texture helps to give Lynn’s paintings that freshness, energy, and presence. This use of impasto also means we’ve got to be extra careful about preserving the delicate textured surface when we pack these paintings to be shipped! To see how we’re able to do this, check out this post from last year. Click here to view our currently available work by Lynn Boggess. And be sure to keep an eye out for a lot more of Lynn’s landscapes to come in the gallery very soon as we prepare for his annual solo show, “A Walk Through the Woods,” opening February 20th! Check back next Tuesday for another Technique Tuesday post, and be sure to follow us on Facebook, Twitter, Instagram, Pinterest, and YouTube for more updates from the gallery!